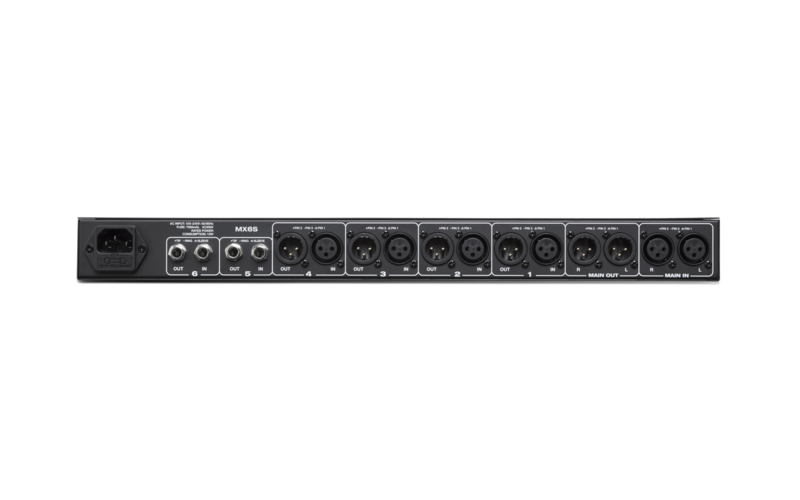 The MX6S is a versatile, one-rack space routing device that can be utilized as a 6-channel mixer or a splitter with up to 8 outputs. In Splitter Mode, a stereo input signal can be sent to up to 8 discreet outputs. 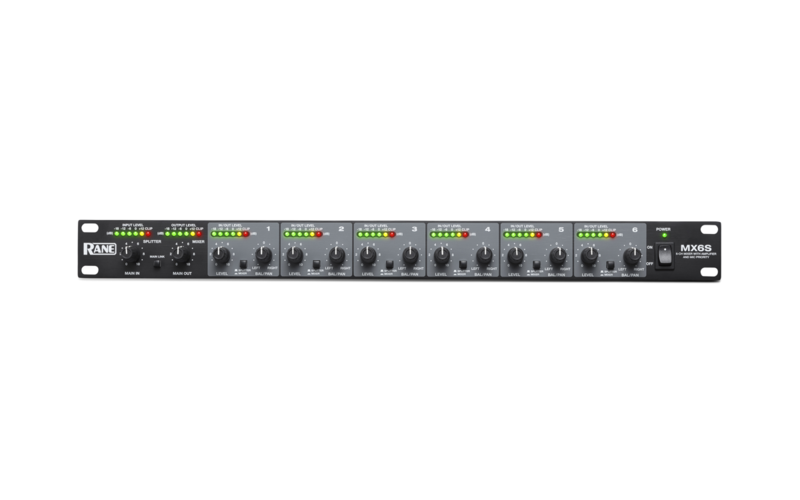 In Mixer Mode, a stereo input signal can be mixed with up to 6 mono signals - and at the same time, have separate direct outs for the mono inputs. This audio tool is very useful for distributed audio in Splitter mode, or in creating custom mixes in Mixer mode.